Many couples truly only stay together for the children, as witnessed by the sudden uptick in divorce after the age of 50. These gray divorces are happening more often as couples decide they no longer want to stay married forever. People are living longer nowadays, and living and dying miserable is no longer an attractive option. Retirement was once known as a time when couples were finally able to spend time together after decades of slaving away for someone else. Many spouses are finding that spending time with their significant other is not all that it is cracked up to be. With no kids to look after, spouses tend to feel more alone now than ever. The divorce rate for young couples has declined. However, since 1990, the divorce rate for those over age 65 has tripled. Divorces at this age, unfortunately, do not happen easily. At or near retirement, there is much more concern about finances. When a person stops working and earning income, they can pretty much see their retirement money cut in half, which can be devastating. Read on to learn more about the financial impact of a gray divorce. 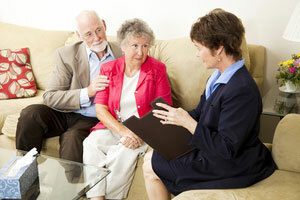 A gray divorce is more than likely going to endanger retirement for one or both parties. They will not be living off of as much money as they think they had. Any individual retirement accounts (IRAs), 401(k) plans, pensions, 457 and 403(b) accounts will have to be split up. This often comes with a high price tag. Complicating things further is that older couples tend to have more assets. 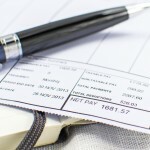 They also tend to earn more, which could mean multiple retirement accounts. Combine that with annuities, which are common in older couples and very challenging to divide. This can make it quite difficult to split everything equitably. Whatever you do, do not try to split retirement accounts on your own. Otherwise, you will be paying much more. For pensions and 401(k) plans, you will need a qualified domestic relations order (QRDO). This is a judicial decree allowing a spouse to receive a portion of the account owner’s plan. The money can then be transferred to the other spouse’s name. By doing it this way, you can get a one-time break, which means you will not have to pay the 10% penalty for withdrawing money and giving it to your spouse. 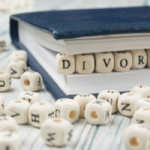 For an IRA, the division must be outlined in the divorce decree. It is not something to which you and your spouse can simply verbally agree. You should, however, try to roll it over into another IRA to avoid penalties. One thing to understand when splitting assets is that Social Security benefits cannot be split, as they are not considered marital assets. However, the amount should be considered in a divorce. It is possible for a high-earning spouse to have a much higher benefit than a spouse who maybe stayed at home for many years to care for children. This discrepancy can be offset by monthly payment amounts or trade-off of other assets. At the same time, it is important to be realistic. Just like with any divorce, you are taking one household and splitting it in two. It costs more to maintain two households than it does for one, so realize that finances are going to take a hit. Also, retirement accounts will need to be split in a divorce. You will not be able to keep everything in the account, even if you feel you are entitled to it. These accounts are marital assets, whether you like it or not. Having to split up accounts can be devastating for retirees. That is why it is crucial that if you are seeking a gray divorce, you get it done right. There is no room for error at this stage of your life. Mistakes can be costly and time-consuming, and at this point in your life, you are short on both time and money. Divorcing later in life is much different from your 20s, 30s, and even 40s, when you still have plenty of time to make more money. That is not an option as you approach retirement. Maybe you have already retired. At that point, getting back into the workforce is next to impossible. Complicating things is that many retirees are considered part of the “sandwich generation.” They may need money to provide for college-age children who are moving back into the home after graduating. At the same time, they may be caring for ill and elderly parents. The financial strains of a divorce can certainly put a wrench in these plans. To avoid all the stress and complications, it may be better for the couple to remain married. Which is more important – money or happiness? In the case of wealthy, older couples, money obviously does not buy happiness or the gray divorce statistics would not be as high as they are. 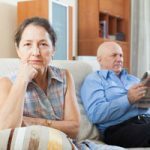 Divorce becomes harder as a couple gets older, and a gray divorce comes with huge financial implications for both parties involved. It can cause someone to rethink their retirement plans. They may have to continue working or downsize from their current standard of living. If you are nearing retirement age and considering divorce, seek legal help from Palm Beach divorce attorney Scott J. Stadler. He can help you through this stressful time and help you negotiate a favorable outcome. Call his office at (954) 346-6464 to schedule a consultation.